How to Fight Like a Special Forces Soldier is an in-depth study of how trained soldiers fight, and how human beings can be turned into deadly fighting machines. The skills taught are both primitive as well as hi-tech and ultra-modern. Asian elite troops train in historical martial arts, experts in the lethal skills of punching and kicking. Western special forces can fight with their bare hands, using them to defeat heavily-armed assailants. They can improvise weapons from materials at hand, as well as deploy sophisticated weaponry that can knock out a tank or helicopter. This book shows how to master throws, locks, strikes and blows, as well as fighting with edged weapons, improvised weapons and throwing weapons. Other chapters cover sniping, the use of grenades and flamethrowers, how to set up an ambush, and the skills required for infiltration, assassination and night fighting. 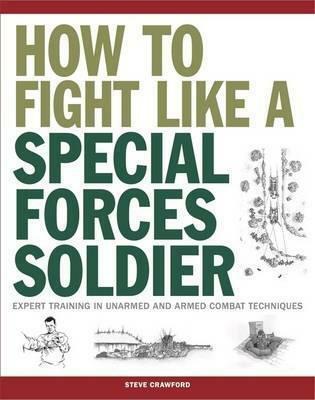 Illustrated with black-and-white photographs and instructive artworks and including expert advice throughout, How to Fight Like a Special Forces Soldier is an engaging guide to a broad range of fighting techniques and tactics employed by modern elite soldiers.